The Marine Innovation Group is made up of Technical Leaders and Product Managers from all of the Teledyne Marine organizations, and was formed to identify, promote, and develop market differentiating products, leveraging Teledyne Marine's combined strengths, skill sets and technologies. Teledyne's Marine Innovation Group is focused on advancing marine technology through collaboration between Teledyne technology centers and industry partners. 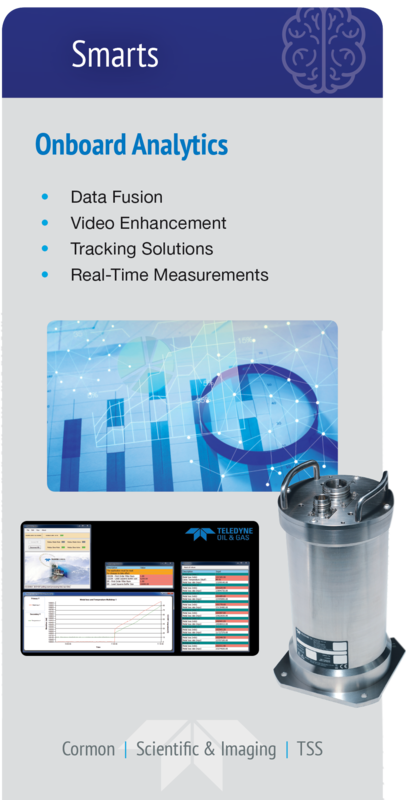 The Marine Innovation Group strives to further converge Teledyne organizations and product lines into more streamlined and consolidated "solutions based" offerings. 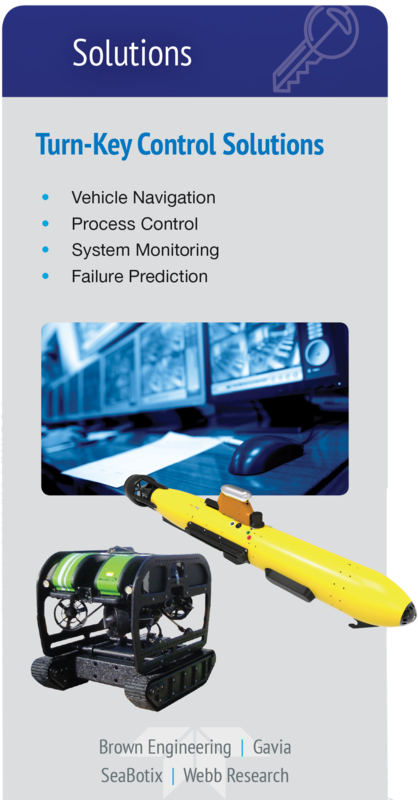 Our mission includes driving cutting-edge technologies, improving system integration and usability, and delivering smarter underwater systems. Contact us to start a dialogue on your subsea challenges. 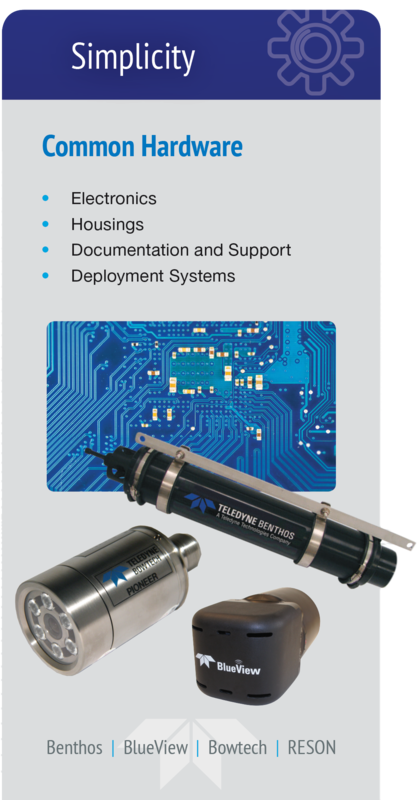 Consolidation of multiple sensors into common hardware solutions creates new opportunities for deployment of Teledyne Marine technologies. 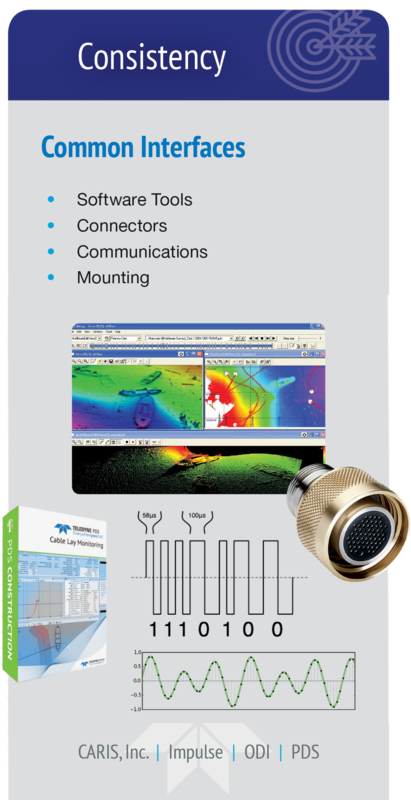 Consistency across system interfaces, whether in the communications, mounting points, or software interfaces simplifies both the integration and user experience of Teledyne Marine systems. By delivering information rather than raw sensor data, Teledyne Marine products can move several steps closer toward control system input requirements, accelerating automated platform development. By bringing all the pieces such as sensors, hardware, software, and controls together into a single solution, Teledyne Marine can deliver full turn-key packages for the industry’s toughest projects.